to two aspiring young musicians from the Spokane area. The Future Song Foundation is proud to announce the names of our 2 recipients in our PRS Guitar Giveaway. Drum roll please….they are Nathaniel Krous and Thomas Worley. 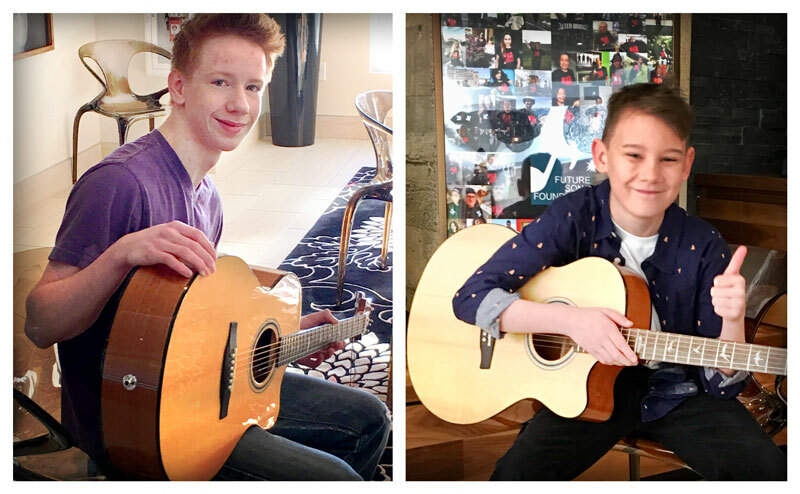 The board met both Nathaniel and Thomas on December 23rd to surprise them with their new guitars. Surrounded by the people who had contacted Future Song and nominated the boys, it was easy to see why these people had written in on their behalf. We found the kids exactly as they were described, intelligent, courteous and talented. These guitars are in good hands! Congratulations Nathaniel and Thomas, we look forward to hearing your future song.